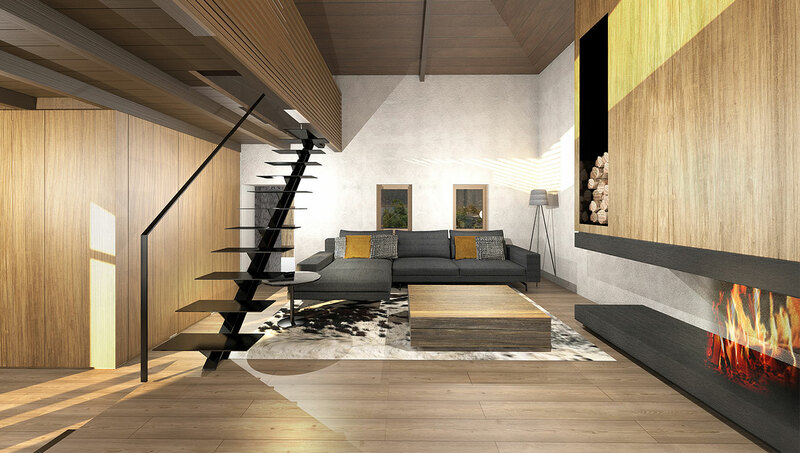 The project involved the redesign of the internal spaces of an existing house located in the area of Arachova. 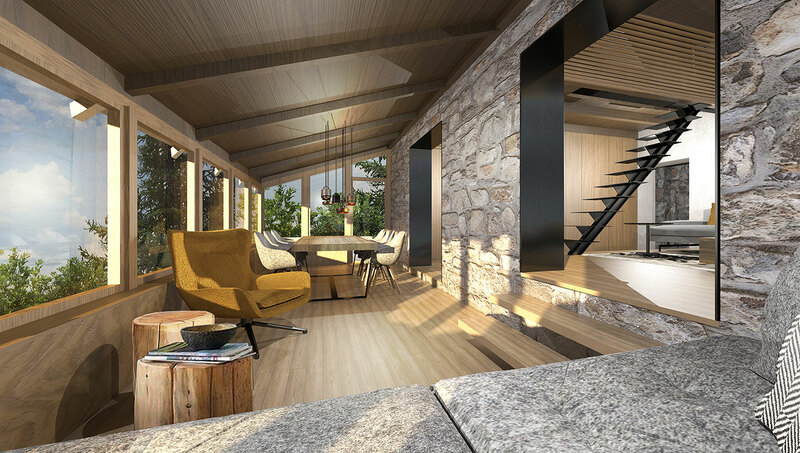 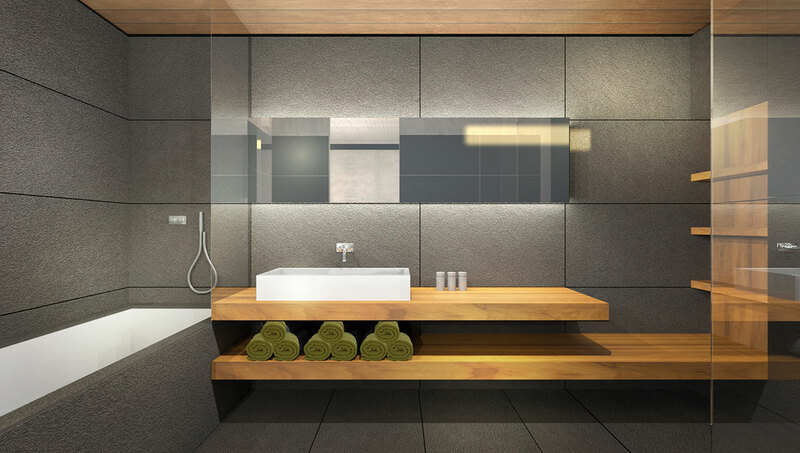 Simple lines, the use of natural materials such as wood, and the exposure of structural elements create a warm and friendly environment. 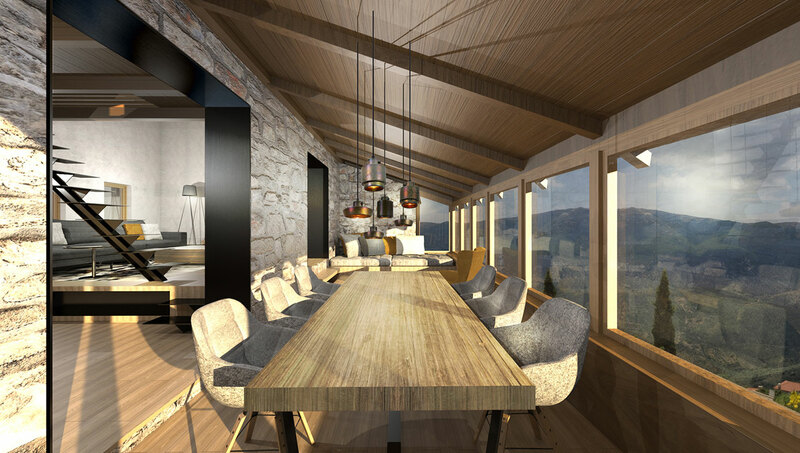 The windows are treated like picture capturing images, framing the mountain. 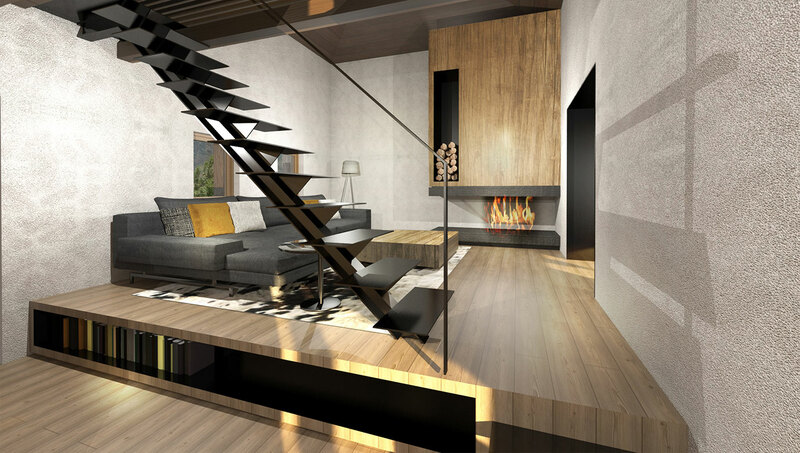 The fireplace becomes the main focal point of the double height living area.